Steak was on our mind, I must admit. We were on the end of a ten day trip and heading back from the Mississippi West Coast, where we'd enjoyed a couple of days of extraordinary seafood. 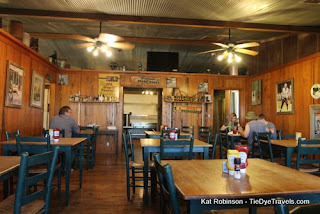 We'd had good po'boys and burgers and even flipped Cheerios at seagulls at Bay St. Louis one lazy afternoon. But the afternoon, which would end up with seven hours of pavement time under our tires and so many stops, had dragged on. It was a Tuesday. It was March. And beef was on our minds. 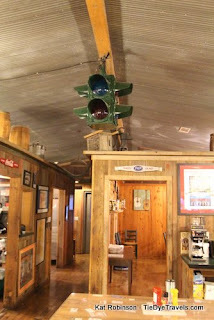 We'd actually decided not to grab a steak at Beechwood Restaurant, one of our favorite Vicksburg restaurants. No, we wanted to press on. I had recalled a place along US 61 where the Teddy Bear was born... but when we got to The Onward Store in Onward, MS, we discovered steaks came at $30 a pop and besides, they were closing in just a few minutes away. Forward we pressed, determined to get some beef soon. Neither of us were willing to wait for the surety of The Cow Pen this once. Here we were, hungry enough to eat a bear (the Onward location and a bear crossing sign further down the road had even brought that possibility to mind) and already getting hangry with each other in that heavens we don't want to fight, but we need food, sort of situation. The gigantic po'boy loaf behind my head wasn't going to satisfy us. So when we came around that bend in the road at Glen Allen, talking about ruins and the Delta and such, and the scent of roasting meat wandered through the ducts of the air conditioner (it was 84 outside, progressively getting warmer as we went north from the coast, for some odd spring-related reason), I hit the brakes and curled us into the parking lot of a general store on the edge of a field. There were people in that lot, and cars, and the scent of steak. We'd arrived at Farmer's Grocery. 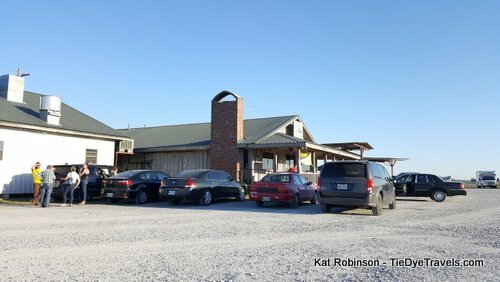 Now, I'd seen this place before, several times. We tend to pass through when we're on the Mississippi side of the river. It's not far from the ruins of Mount Holly Plantation, and it's between Vicksburg and Greenville, but somehow a stop had never occurred. I didn't care if their steak was still on the hoof, I wanted some, and we were going in. The front room is what you might expect of a country grocery, but a little more sparse and with a few tables here and there. 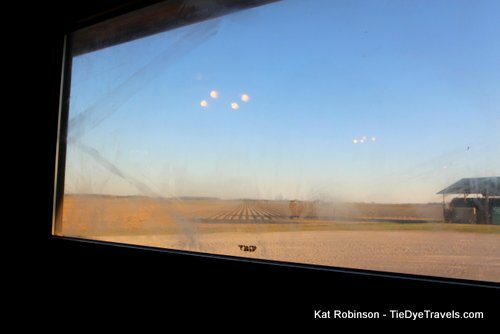 We weren't sure whether to order at the counter or sit, but a lovely young woman soon came and whisked us away to a table by the window where we could watch the flat Mississippi plain turn colors as the sun set. Wood paneling all around, this could have been a room at any steakhouse in America, probably. It sure smelled like steak. merits no more mention here, right? 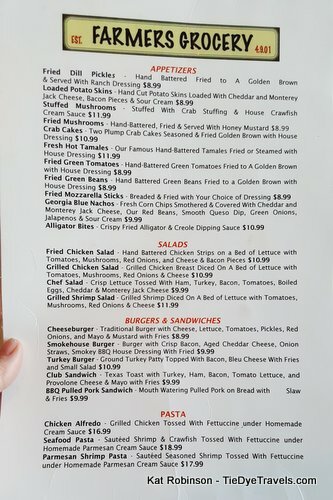 Our waitress came back with iced tea and told us about the special. It was steak night. I took that as a sign of Providence. I didn't even care about the cut. She could have brought us neckbones or a tongue and I think I'd have been fine with that. They were out of blue cheese dressing and I didn't care. I wanted a steak. There were just a few other people in the room by this point... and I realized that yes, it's a Tuesday night in the Delta, people were going home. Though it was around seven, I suspected the crowds we'd seen in the parking lot were the just-off-work crowd. The couple at the nearest table were talking about Savannah, which I noted. Grav would later strike up a conversation with them and discover they had a child in school at the Savannah College of Art and Design, his alma mater, and that they were from six miles down the road from Farmer's. But that all came later. As I said, we were on the verge of hangry, and the only reason Grav had chosen the steak was because he was blinded by indecision, which often happens when we cannot concentrate from having waited to dine. He did not have high aspirations for the place, which I suspect was another symptom of his strengthening appetite. And when the salads came to table, he plunged into his quickly, with no words, only muttering after smothering himself with lettuce leaves covered in dressing that the Ranch was fantabulous. Somehow we both ignored the three rolls brought simultaneously while we got the vegetables we should have been craving. Steaks came to table - and while perhaps I should have been shooting Grav's since it was rare, neither of us were willing to switch plates for the shoot as we are wont to do. In fact, I think I got just four off before the scent of hot beef took me and I started in with knife and fork. 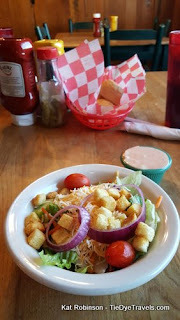 There was no need for a sauce, which our waitress offered us as we both got to filling our mouths, our shaking heads rebuffing her from interrupting the inhalation of red meat that had begin. The steaks were peppery, perfectly cooked (or in Grav's case, uncooked) and in process of consumption. 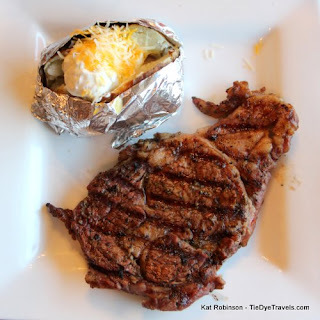 Not to say these were perfect steaks. Indeed, they were fatty in places, and we both determined the 12 ounce slices of sirloin were probably three ounces of fat each, but we did not care. They were both delicious. Grav only paused to Instagram, to show other chefs what they might accomplish if they managed to cook a steak perfectly for my partner, a rare steak that still felt a little cool in the center. He was impressed. I was, too. I had gone medium rare and I was thankful for it. I did stop myself from eating swaths of fat, though Grav ended up slurping some himself, marveling at the spices and bragging on his low cholesterol levels. Not for long, I thought to myself, not for long. The rolls finally got attention to soak up the spices and juices from our plates. 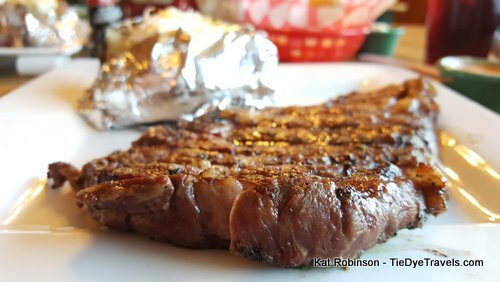 Our potatoes were all but chunkily inhaled as well - nothing exceptional but satisfying, the appropriate steakhouse side that always came to table, it seemed. And then we sat, staring at each other, laughing a bit. The hanger was gone. We were fulfilled. I had that great post-beef burst of energy I have become accustomed to, that same boost that would power me through on the drive all the way up to Dumas before Grav took his shift. We passed on dessert. 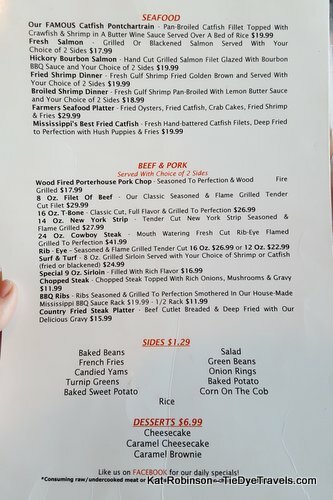 Our two $16,99 steak specials may not have been as exceptional as what we might have encountered had we made it in time to enjoy one $30 steak at The Onward Store (which we still expect to visit at some point) but they did the trick and we were happy. 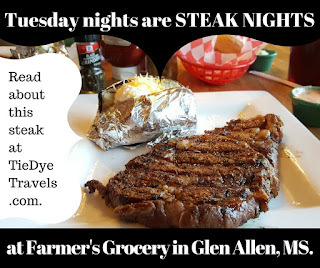 And I suspect next time we're passing through the Mississippi Delta in range of Glen Allen on a Tuesday night, we'll be dropping in again. 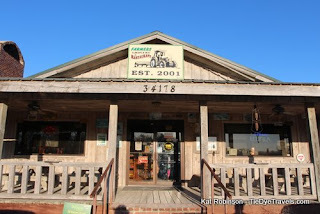 You'll find Farmer's Grocery along State Highway 1 at Glen Allen some distance south of Greenville. It's open each day 7 a.m. to 9 p.m. Try not to arrive hangry but if you do - I hope you get there on a Tuesday. 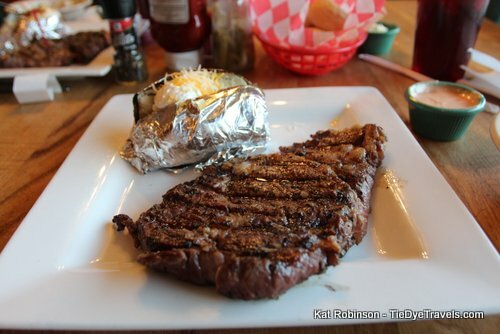 The phone number is (662) 873-8959, Enjoy your steak. Reminds me of Airport Grocery in Cleveland, MS. Try the tamales if you're there! They also have super clean bathrooms.